Candy buffets have been a steady trend for quite some time now and there is no sign of this trend slowing down! 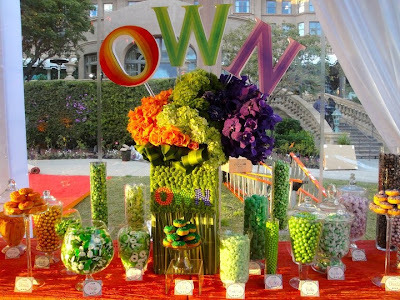 Let's face it, when it comes to candy, there is still a kid inside of all of us and we all love a sweet treat to take home. 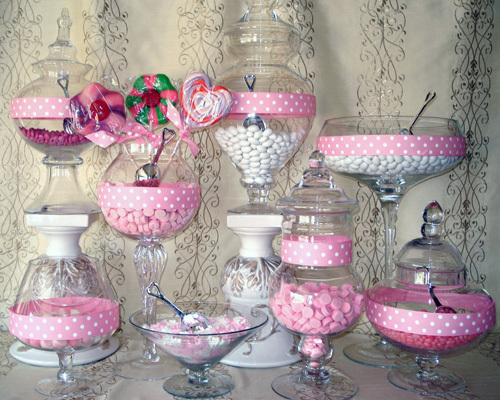 But, what makes a great candy buffet? Is it the colors? The candy? The design? Or, is is a combination of all three? Regardless of the theme, every wedding should appeal to the five senses, sight being one of them. If you're opting to do a candy buffet, this is a very large detail that shouldn't be overlooked. It should be visually appealing at first glance. Lets face it, we all eat with our eyes first! It should be placed on a table that has its own space in the room and the table should have coordinating linen. 1. Make sure that you've chosen containers that allow your guests to see the candy that's being offered to them. 2. The containers should be of varying heights and widths to give the eyes something to "dance to." 3. Choose candies that matches your wedding or event colors for a more cohesive look. Your table will be a piece of art on its own. 4. 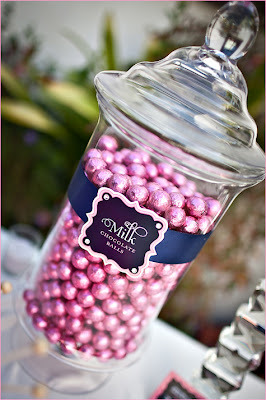 If you choose, you can add ribbon and signage to the jars for a more decorative look. A backdrop is also a great suggestion. 5. 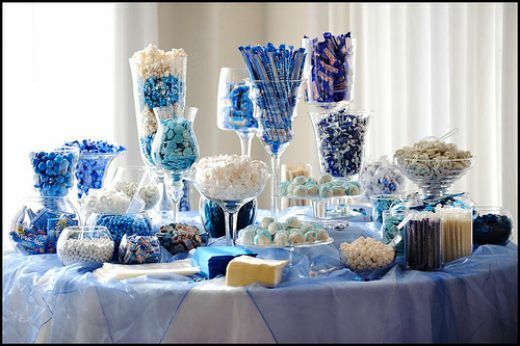 For portion control, consider small boxes or bags so that you'll have enough candy to make through all of your guests.